The game is a word guessing game similar to Hangman. 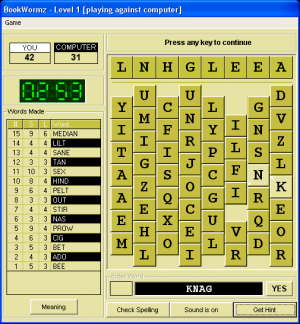 On each round of the game the player has to find the hidden word by guessing its letters. In this game the hanged man is replaced by a face. Every time the player guesses a letter which is not included in the word, a piece of the face is revealed. Once the player has reached the maximum amount of wrong guesses, the entire face is revealed with a sad expression and the player loses points. 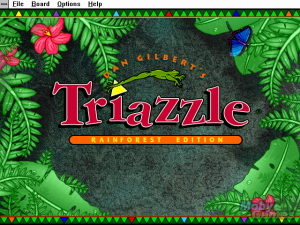 Afterwards, the player may choose to repeat the challenge, display the hidden word, or continue to another word challenge.